On the eve of the actualization of its long-dreamed statehood, South Sudan is showing worrying signs of hazards ahead. Each of the three driving forces in itself is a challenge, but combined they pose a threat so potent that it will require wisdom and some good fortune to avoid this calamity. And much of it will depend on whether the antagonists will listen to their demons or better angels. South Sudan voiced its independence when its citizens voted on January 9, 2011 for separation from Sudan overwhelmingly: 98% yes and 2% no. This referendum date was stipulated by the 2005 Comprehensive Peace Agreement (the “Naivasha Agreement”), the deal between the Khartoum government and rebels from the South, which had been signed exactly six years earlier. The agreement itself was the culmination of a 3 year long complicated set of negotiations, not to mention the 50 year old conflict, and it had to, inevitably, rely on goodwill being as powerful a motive as self-interest. It also built timelines of events, each triggering the countdown to the next, and the January 9 referendum vote (which will be made official on July 9) was only the beginning. There are three complicating factors whose management will determine whether North and South Sudan will maintain peace or be mired in new conflicts: (1) the fate of Abyei; (2) the South-South formula for power-sharing and (3) Khartoum’s record of using a brutal irregular army to impose its will. 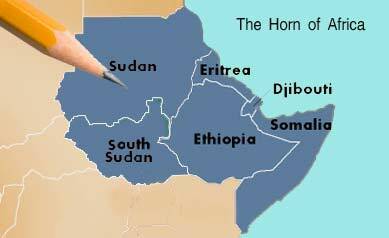 Sudan, now Africa’s largest country which also has the most neighboring states, has 25 provinces. With the secession of South Sudan, it will be left with 15. Somewhere between North Sudan’s province of South Kurdufan and South Sudan’s province of North Bahr el Ghazal lies Abyei, a town of undetermined population size and boundaries but extremely consequential because it sits on oil that is reportedly 1/4th of the entire oil output of Sudan. The town is populated by Dinka Ngok (Southerners) and Misseriya (Northerners) tribes. For years, the two clashed on grazing and water rights and their relationship was complicated further when Great Britain, the colonial master, made Abyei, for administrative reasons, a part of South Kurdufan. The 2005 Comprehensive Peace Agreement recognizes the delicate status of Abyei (refer to Abyei Protocol here) and stipulates two measures: (a) that the boundaries of Abyei be delineated and that (b) the residents of Abyei hold a referendum to decide whether they want to be a part of North or South Sudan. North and South Sudan agreed to abide by the ruling of a neutral body, the Abyei Boundaries Commission (ABC), but when ABC issued its ruling on the boundaries of Abyei, its conclusion was rejected by North Sudan. Subsequently, after some bloodshed, the matter was referred to a new boundary commission, the Permanent Court of Arbitration (PCA) at The Hague. The PCA redrew new boundaries for Abyei, which were accepted by both parties, but have not been implemented. As for the issue of Abyei holding a referendum, the main area of disagreement is who is allowed to vote: the South says that it should be only the settled Dinka Ngok, while the North says that the Misseryia, who are pastoralist and in the area seasonally, should also be allowed to participate in the referendum. Abyei is yet to hold a referendum. In the interim, there have been sporadic attacks, intensified last month, on the Dinka Ngok police force of Abyei by an organized group which has burned homes resulting in 25,000 of the citizens vacating the area. North Sudan maintains that these are localized conflicts between the Misseryia and Dinka Ngok; South Sudan alleges that the attack was organized by Khartoum and conducted by the Popular Defense Forces, an Islamist militia which functions as North Sudan’s quasi-official army reserve. Many of the senior ranks of the SPLM (now the government of South Sudan) are from the Dinka Ngok tribe and it is highly unlikely that the SPLM will compromise on the issue. There has been an escalation in the rhetoric of both South and North officials: Southern officials have said that any attack in Abyei will not be contained and that the conflict will spread to South Kurdufan; and northern officials have said that they would never leave Abyei. There has been mobilization of armed North and South Sudan loyalists around Abyei, despite the CPA language that only a police force is supposed to be in the area. In short, the area is now being deserted by its inhabitants and every day since the referendum, there has been a momentum towards a confrontation in Abyei. Ever since its inception, the Southern People’s Liberation Movement (SPLM) had presented itself as the sole representative organization of South Sudan. On the eve of achieving statehood, SPLM is experiencing fracture, with senior officials departing and forming independent armed groups. One dissident, Lt. George Athor Deng, is a veteran of SPLM who held the rank of division commander. After he lost in state elections, he accused SPLM officials of conducting election fraud and splintered, forming a rebel group. There have been accusations by UNHCR that armed rebels loyal to George Athor Deng were responsible for the “massacre” of nearly 200 civilians, mostly women and children, in the Jonglei region bordering Southwest Ethiopia. Last month, another former SPLM commander loyal to George Athor, Captain Olonyi, clashed with the SPLM at Malakal, the capital city of South Sudan’s Upper Nile province. Also last month, General Sultan Abdel Bagi Ayii from the South Sudan province of Shamal Bahr al Ghaza heralded his revolt against SPLM. There have also between clashes between a militia and the SPLM in the South Sudan province of Unity. Finally, all these disparate groups have reportedly coalesced into the Southern Sudan Democratic Movement, which poses a direct challenge to the SPLM. Sudan’s president, Omar Albashir, has a history of using proxies (Darfur) to impose his will and he is unlikely to reverse course. He is now arming the Misseryia tribe, who has the most to lose in any North-South conflict, to wage war on the Dinka Ngok. With his two patrons, Qaddaffi and Mubarek, either out of power or fighting for their political lives, and the international community looking for one more reason to compel him to be tried for crimes against humanity at The Hague, he doesn’t have the latitude he had when he was burning down Darfur. 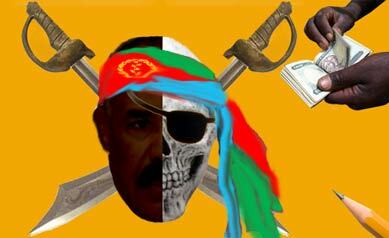 Speaking of proxy wars, any time there is death and carnage, there is always Isaias Afwerki who, like a vulture, finds a way to profit from people killing each other and the Southern Sudanese should not be too trusting of him. For lessons learned, the South Sudanese could study a page from the history of their neighbors, and neighbors of their neighbors. Eritrea is about to celebrate the 20th anniversary of its independence from Ethiopia. Eritrea’s independence was something that practically every Eritrean alive was dreaming of and when it came time to vote in a referendum, Eritreans, like the South Sudanese, affirmed their wish in a 98%+ vote. The liberators enjoyed huge support and a bottomless good will from a grateful people. The liberators have more than squandered this goodwill: they are now detested by the people. 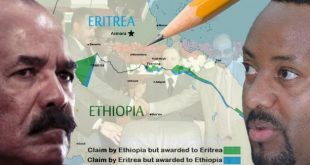 Since 1991, Eritrea has been involved in proxy war with Sudan, a border skirmish with Yemen, another border skirmish with Djibouti, and a brutal border-instigated war with Ethiopia. Eritrea’s rulers have, unwisely, chosen a path of militarization—mobilizing hundreds of thousands of youth who are serving in labor camps for over a decade now, with no end in sight. It has denied any political space to opposition figures: the president rules by decree and arrogantly dismisses any challenge to his authority. 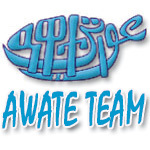 The result is that Eritrea is being emptied out of its citizens who are leaving the country by the tens of thousands every year; its economy is in tatters; its fundamental social unit, the family, is under assault; it is seen as a pariah state by the international community; and it is a tinderbox that could explode with the slightest spark. The people of South Sudan, who toiled for decades to live free, must resist all invitations to war and conflict and seek the harder—and ultimately more rewarding—path of patience, accommodation, political pluralism and honoring the dignity of man. An otherwise worthwhile article, the title should read “What South Sudan could learn from Eritrea”. Eritrea, a country that has lost everything it had learned, cannot teach anything to anybody.